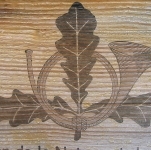 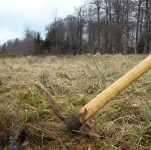 Haute Durance : plantations done ! 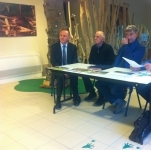 On November 28th, the LIFE Elia-RTE project, in association with RTE, organised a press point on planting sites of forest edges. 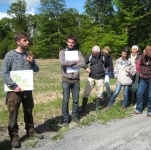 The LIFE Elia-RTE site in Drôme (France) comprises three major actions: management by equine grazing, control of invasive species and digging of ponds. 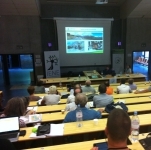 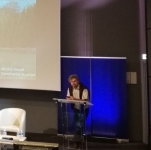 On October 19th and 20th, ITTECOP organised a conference in Paris on the theme "Transport infrastructures, biodiversity, scientific research". 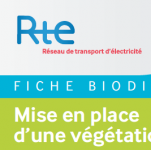 For its relations in the Region (Voyage au cœur du réseau de demain), RTE organised an information day for its staff and external partners in Lille on October 16th 2017. 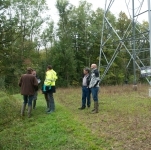 On October 13rd 2017, the LIFE Elia-RTE gathered all its partners at the Vuillecin (Doubs) site for a closure meeting of the LIFE project. 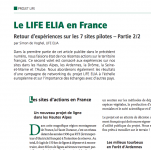 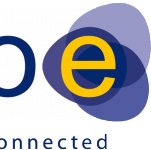 The LIFE Elia-RTE project is active on 7 sites in France. 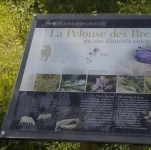 These sites are located in the following Departments: Ardennes, Aube, Doubs, Drôme, Finistère, Hautes-Alpes and Seine-et-Marne. 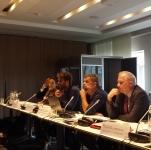 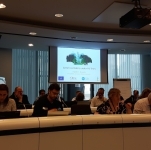 On June 7th 2017, the LIFE Elia-RTE team was asked to present the LIFE Elia-RTE project in Brussels during the Electricity Cross-Regional Group and Regional Group meeting organized by the DG Energy. 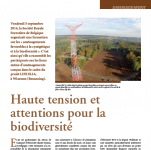 What biological diversity in forest corridors? 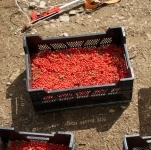 Assessment from four years of inventories. 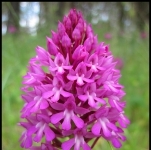 The field inventories of this spring 2016 reserved us some surprises, notably the survey of hundreds of feet of orchids under high voltage lines of our LIFE Elia-RTE project. 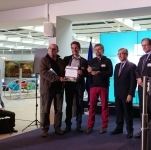 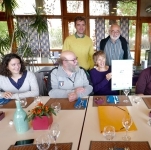 The LIFE Elia-RTE project just won one of the two "Sustainable Partnerships" award attributed by The Shift in the framework of a Belgian competition (see video). 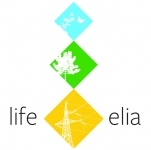 Award Natura 2000 for the LIFE Elia-RTE project ! 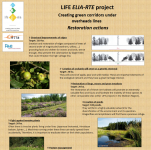 The LIFE Elia-RTE project just won the Natura 2000 Award in the "Reconciliation of interests/perceptions" category ! 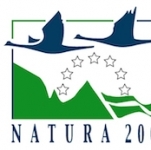 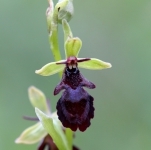 May 21st is the Natura 2000 network European day. 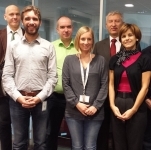 For this occasion, our team organized a special day for the staff of business manager of Elia, the Belgian electricity transmission system operator. 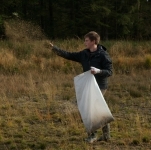 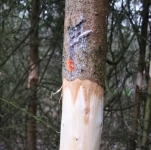 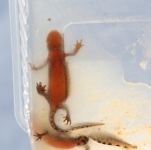 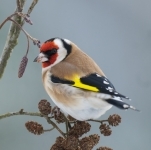 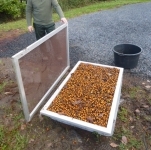 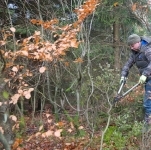 Following an article written in "Hunting and Nature" and published in November 2014, a guard was interested in the actions carried out by the LIFE project. 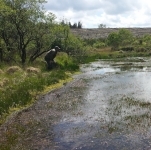 Valuing lunch break by learning about the LIFE Elia-RTE. 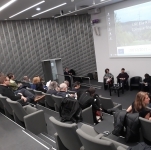 The team travelled to Paris for an event organized in collaboration with Communication and Consultation Departments of from RTE. 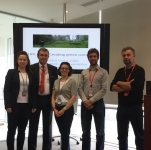 LIFE Elia-RTE wins RGI award ! 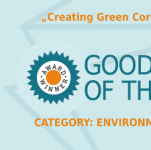 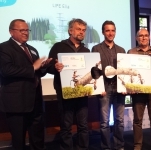 The LIFE Elia-RTE project just received the first prize in the "Environmental protection" category in a European contest organized by the Renewables Grid Initiative (RGI). 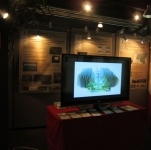 From now on, right from your desk, you can take a virtual visit on our sites : Couvin, Beauraing and Nassogne-Tenneville ! 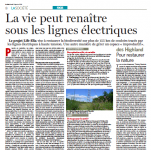 Passing by the N4 between Arlon and Martelange, impossible to miss the double line corridor. 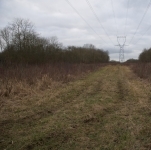 The two power lines with almost parallel paths are everywhere in the landscape. 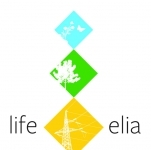 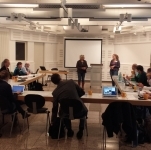 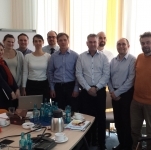 LIFE Elia team was invited by the International Land Conservation Network (ILCN) to present the LIFE project during a conference that took place in Berlin on October 19th, 20th and 21st. 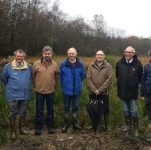 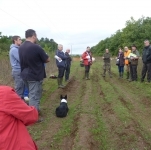 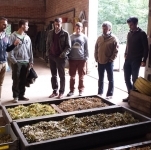 On October 15th 2015, the LIFE partners gathered on the site of Forêt d'Orient, in Aube Department (10). 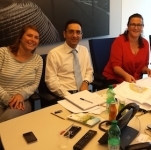 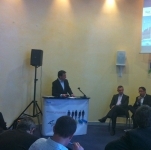 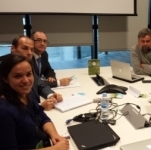 ADEME of Sophia Antipolis in Antibes hosted a two-day conference on October 1st and 2nd 2015. 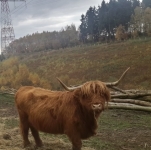 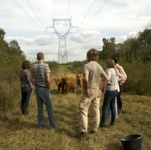 On September 18th, it was the official start of a new grazing area under the power line in Couvin. 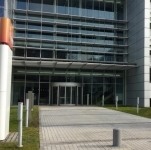 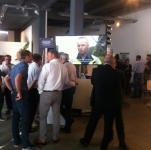 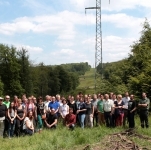 It has been a real pleasure to host 40 people at our LIFE Elia event in Belgium on June 10th and 11th. 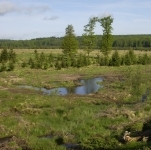 The Forêt d'Orient site is among the seven French sites of the LIFE Elia-RTE. 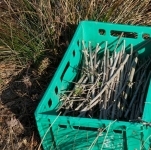 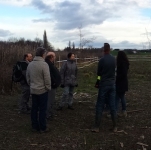 Located in the Department of Aube (10), in Champagne-Ardenne, this site is about to be managed by a local shepherd. 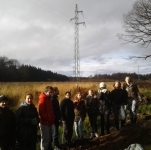 Valuing lunch break for learning about the LIFE Elia project. 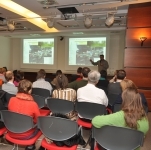 It was an original event jointly organized by the LIFE Elia team and the Communication Department of Elia. 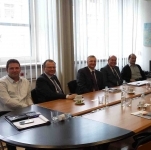 We met MAVIR, the Hungarian Transport System Operator (TSO) on November 6th in Budapest. 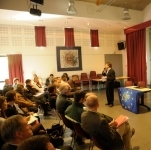 This visit occurred in the framework of our networking mission throughout Europe. 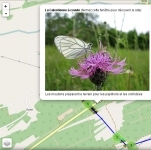 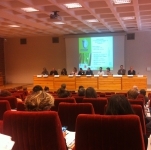 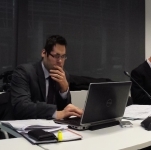 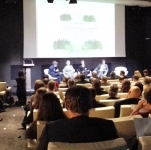 This November 3, 2014 in Paris, we had the opportunity to present the LIFE project and participate in the seminar "Infrastructure corridors, ecological corridors? " 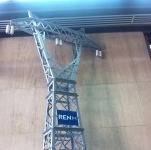 in Paris. 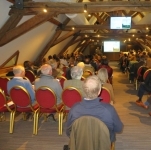 Tuesday 14th of October, the Union of cities and municipalities of Wallonia organized in Nassogne a study day for around 50 municipality representatives. 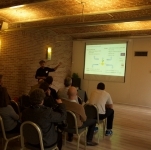 Beginning of October, the LIFE project and their partners gathered to host the EU Commission and the Astrale office. 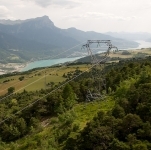 This September 25 2014, many people gather under a high-tension line in the National Nature Reserve « La Bassée » in Ile de France. 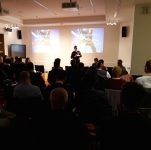 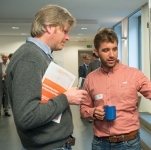 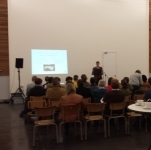 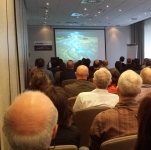 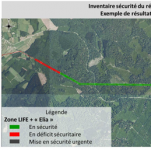 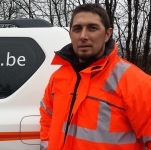 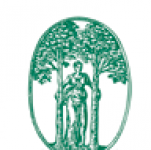 This September 5 2014, the LIFE ELIA team gave an information day on "Electrical Corridors in forest and biodiversity" to the members of the Royal Forestry Society of Belgium. 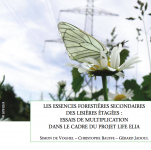 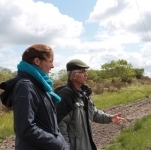 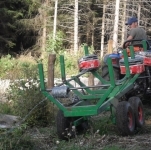 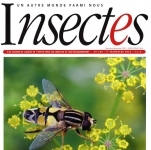 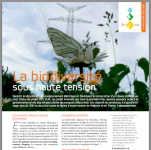 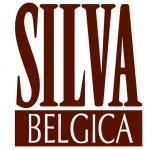 In May and July 2014, we had the chance to publish two articles on the experiences in France and on the European networking in Silva belgica, a periodical dedicated to Belgian private forest owners. 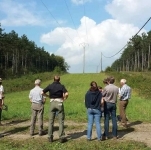 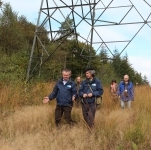 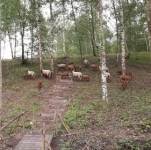 Almost one hectare of vegetation under high-tension line Awirs-Rimières is now managed by around 20 sheeps of the ardennais tacheté race. 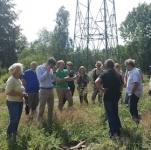 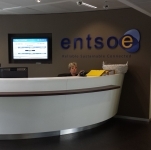 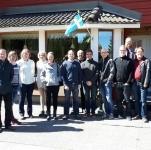 Almost during summer longest days, the LIFE ELIA team met Fingrid (the Finnish Transmission System Operator (TSO)) in Helsinki on June 11th and 12nd 2014. 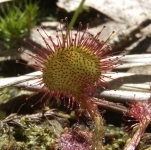 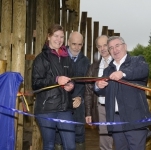 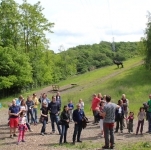 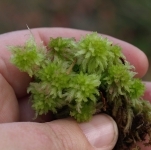 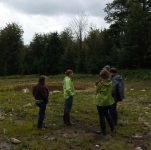 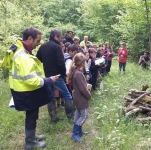 On the occasion of the Festival of nature held in France during the week of May 19 to 25, part of the LIFE team visited the site of Vuillecin (Doubs 25). 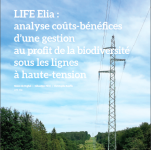 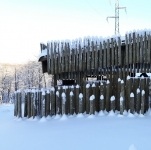 In close collaboration with RTE (the French transmission system operator), the LIFE ELIA is active on 8 sites in France, in very different regions and in distinct contexts. 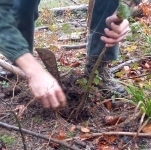 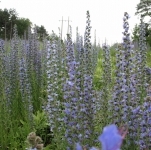 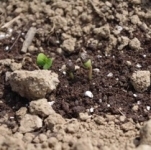 Here is a video showing our plantations in spring 2014. 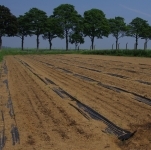 It encompasses plant preparation in nurseries, plantation on site under overhead high tension lines and individual protection against game. 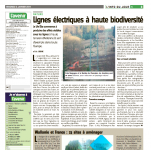 The newspaper « L'avenir du Luxembourg » recently published a full article on the project progress. 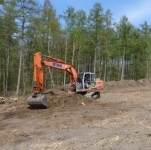 Fencing for pasture on Vuillecin site (France). 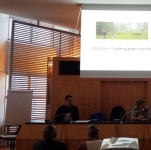 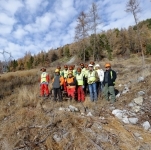 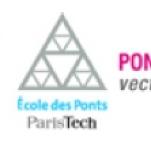 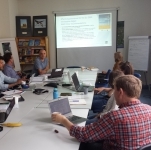 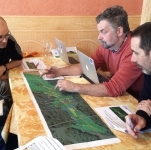 Last 23rd and 24th September, the "Ecole des Ponts Paris Tech" organized a training on "the conservation and restoration of ecological continuity in transport infrastructure". 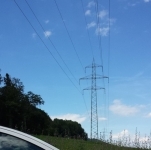 Bees in a high voltage ecosystem ! 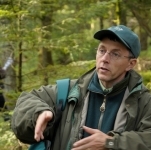 Unmissable event for lovers of nature and movies, the Nature Film Festival of Namur (http://www.festivalnaturenamur.be/ ) was held from 12 to 21 October 2012. 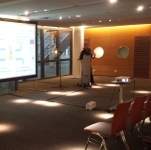 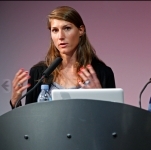 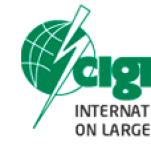 On October 3rd 2012 in Paris, the LIFE Elia project was presented at the RGI (Reneweble Grid Initiative) conference by Gaëlle Vervack (Elia) and Elodie Jaussaud (RTE). 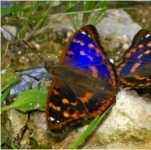 Such groups (birds, dragonflies, butterflies, bats, ...) are known to react quickly enough to changes in their habitats. 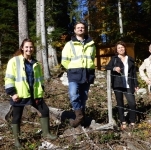 On 20th and 21st of September, several members of the LIFE-ELIA/RTE team went to Gerardmer (Vosges) where took place a meeting inter LIFE projects. 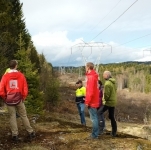 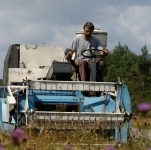 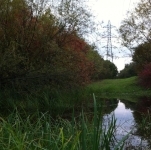 One of the actions programmed by the ELIA-Life is the creation of 20 acres of flowering meadows under high voltage lines. 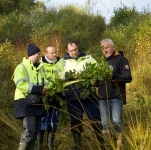 Life programs that have restored many valuable natural sites in Europe celebrate their twenty years in 2012. 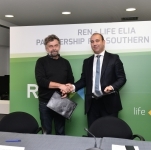 The LIFE ELIA is "linear LIFE", which means that various partners and regions are involved. 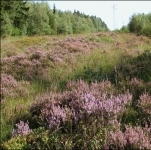 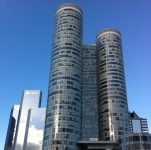 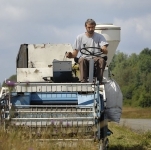 Early in the project, (September 1, 2011), it was decided to travel the 130 km line shortlisted in the project before autumn.